The weather wasn’t the kindest to us. It was actually threatening. Dark skies and low winds. Only a couple of the regulars showed up and then we stood in the parking lot for a while debating whether it was worth the hike to the beach. In the end, it was worth it. Three of us made the trek and one went home. There were two motivating factors for those of us who stayed to fly. 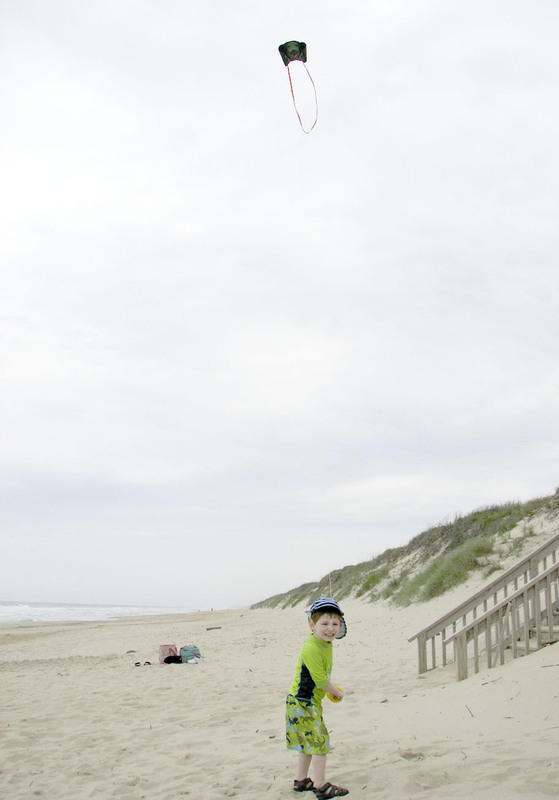 One factor was the possession of a new kite and wanting to see it in the air. Our friend just got an Astro Star. 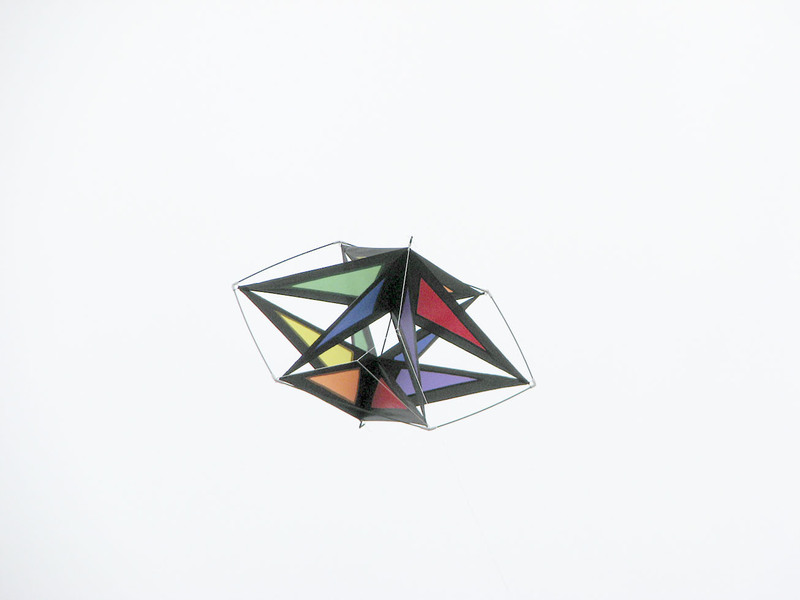 It’s an interesting cellular kite with lots of color within its black borders. 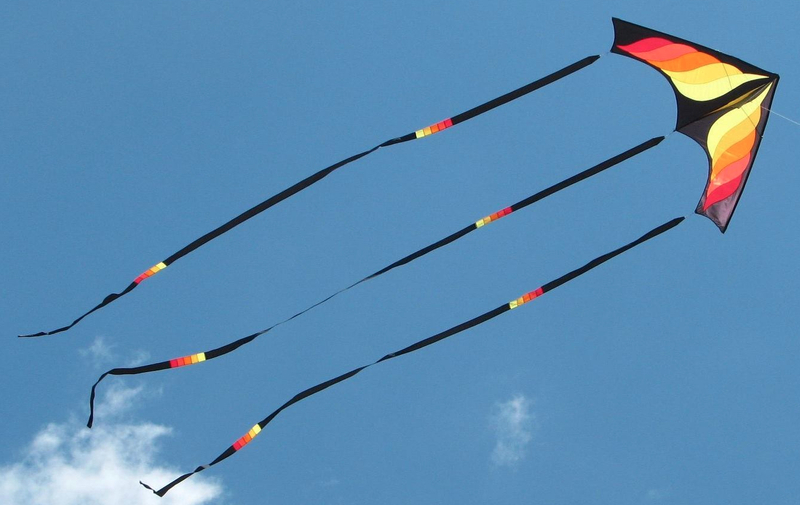 Unless you have a tie to the military, you probably didn’t realize that the day before the kite fly was Armed Forces Day. It was created by Congress to conciliate all the individual days for each branch of the military into one day recognition. It often slides by unannounced and unremembered. 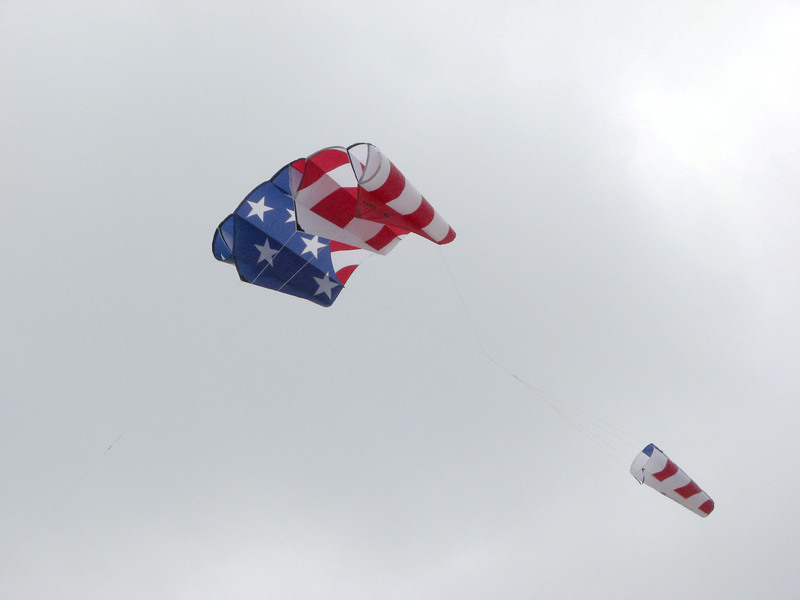 So to honor this day, a red-white-blue stars and stripes sled was flown. Keeping in mind that the weather could change at any minute and we would have to run for shelter, every kite was hand-held. 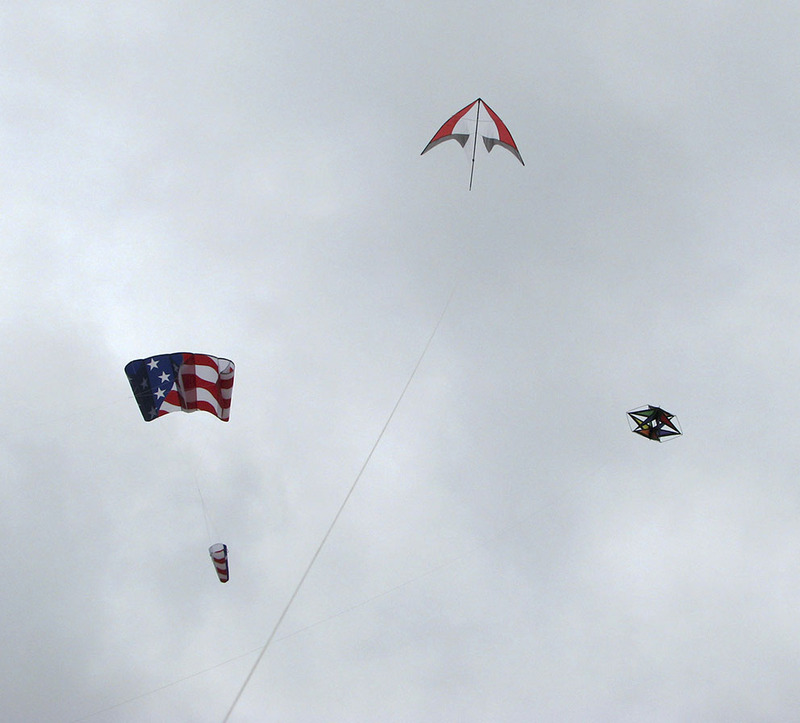 I flew the Wisp II for a bit but the wind was a little strong for its light build. I also put up the Skate, which handled the wind quite nicely for a light wind kite. 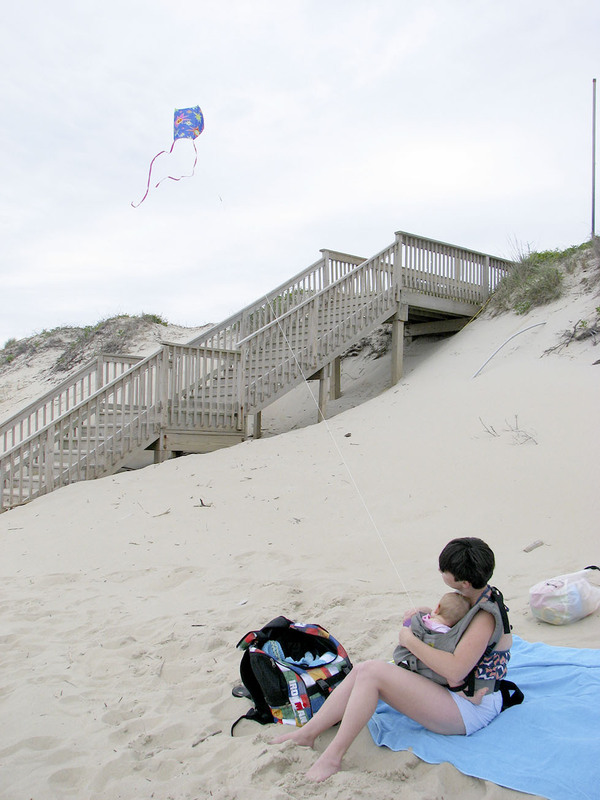 The only other kite flying lately was during a vacation trip to Corolla, NC the week before. And it was done by our grandchildren, not us. They came to visit for a day and spend some time on the beach. It was a little chilly and the beach stay was short. 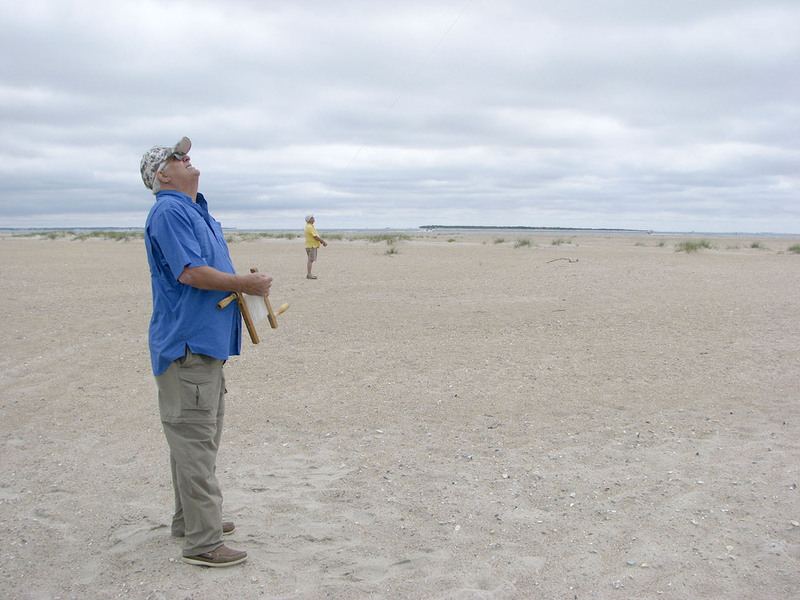 But kites were in the air and we had a good time together.